People are starting more and more to exercise at home, to leave gyms and outdoor space. This is because nothing else than home can offer such safety and comfortable feeling while exercising. Also, home workout does not need any tight schedule, exercising can be performed whenever a person feels up to it, although some basic plan should exist. If a person wants to exercise at home, then some help is needed. 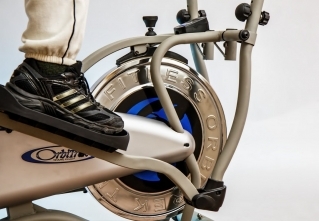 Here is a little guide to choosing cardio exercise equipment for your home gym. Type of workout performed at home depends a lot on the space available for exercising. Some people use a garage, while some are limited to bedroom. If there is a lot of space, then several machines may be placed, something like bench press machine for muscle mass and treadmill or elliptical trainer for cardio workout. Dumbbells, barbell, medicine ball, resistance band are some of the additional tools that can help in shaping the body. But when it comes to cardio, a good treadmill or elliptical trainer is something that definitely must be purchased. What to look out for when buying something like this? In most cases, higher price means better quality. But be cautious about it because more money sometimes does not cover differences in quality. As for treadmills and elliptical trainers, it is important that they have a strong engine, the one that which will carry the weight of the practitioner easily and that will allow him or her to exercise without any concern. Strong engine also increases the longevity of the device. Another important thing to look out for is warranty. This is where problems might emerge because sometimes warranty period is not the same for all parts of the machine and some parts are not even covered by warranty. Therefore, this document has to be read thoroughly and also, the warranty period should be as long as possible. Besides, always check what a machine offers, what cardio programs may be executed with it, if there is changing incline option, what the possible speeds are, etc. As for smaller tools, it is more or less some sort of additional weight. If a practitioner is a beginner, then weights should be very light, even excluded from a session and replaced with medicine ball or some strength building exercises such as push-ups. Before buying anything, it is highly recommended to consult an expert in this matter, a fitness instructor, for example, to go for medical analysis to establish the true physical condition of the body, etc. How do i use the epipticals trainer?